When rodents invade your Miami home, you can trust the experts at Critter Control® to handle the problem. The most common rodents that will invade you home are rats, mice, and squirrels. These critters can get into your attic and cause extensive damages with your insulation and wiring, driving up your electric bills and causing potential fire hazards. Inspection- With a free consultation, we’ll inspect your home for any access points or nesting sites, and determine how severe the infestation is. Removal- Once the type of infestation is identified, we’ll work with you to come up with the best plan on how to remove the rodents from your home. Restoration- Once the rodents have been properly removed, we’ll go through and clean up any damages they left behind, including restoring your attic insulation. Exclusion- As soon as your house is restored, we’ll go through and make sure any entrance or exit points are sealed up, to prevent another infestation. At Critter Control® Miami, we offer the highest quality rodent control services. 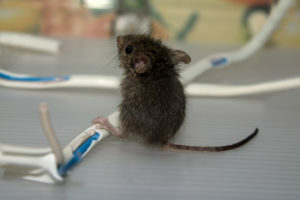 If you suspect you have rodents in your home, dealing with them on your own could result in injury or spread of disease. Contact us today for a free consultation at 305-258-3587.